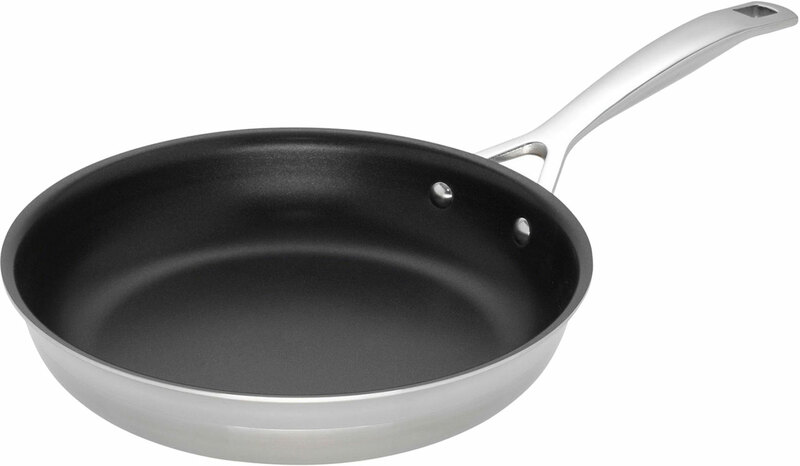 Tough, PFOA-free non-stick cooking surface. 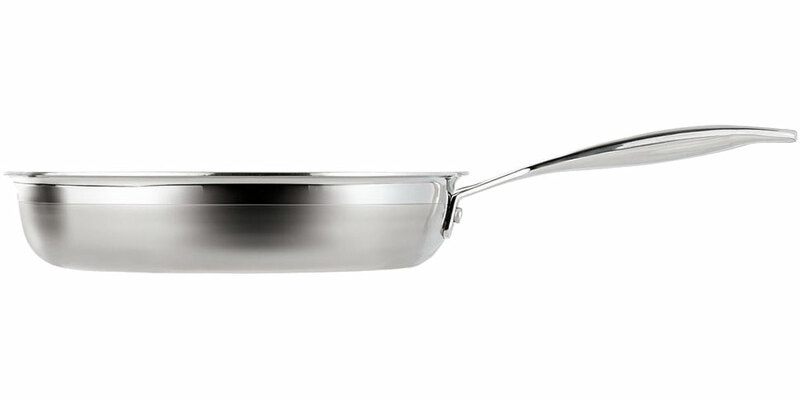 Professional-style cast handle with double stainless steel rivets. 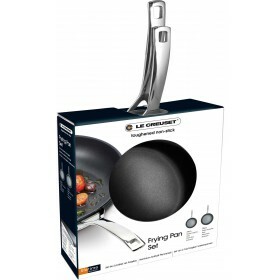 Featuring a technologically advanced PFOA-free non-stick coating, the Le Creuset 3-Ply Stainless Steel Omelette Pan is tough, durable and resistant to wear and abrasion. 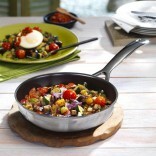 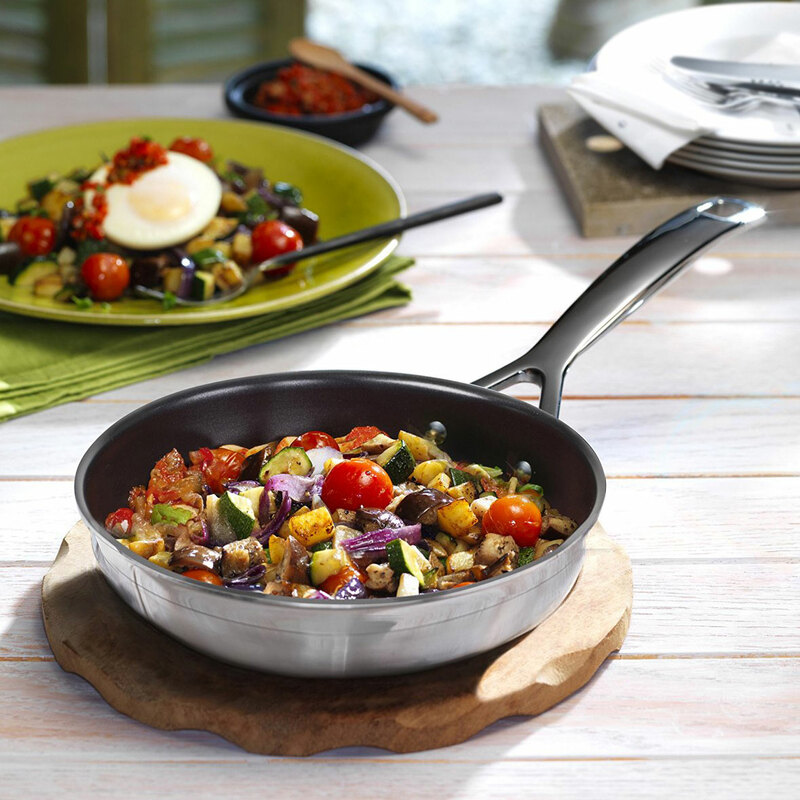 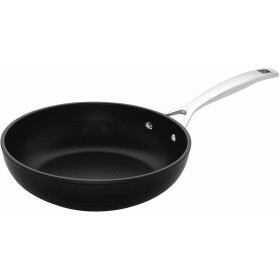 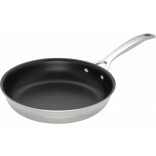 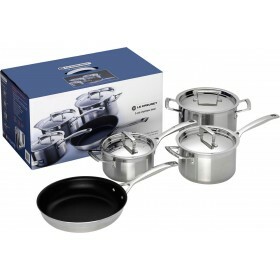 Ideal for healthier cooking, the pan releases food so easily that little or no added fat is required. 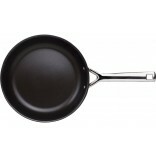 The professional-style cast handle is attached with double stainless steel rivets for a superior, secure fixing. 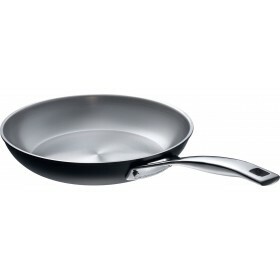 There are other equally thoughtful touches, like an all-round pouring rim that lets you pour from any angle without messy drips. 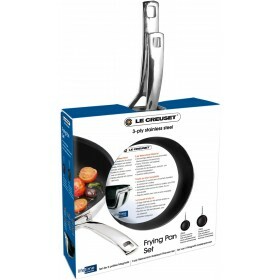 Suitable for use on all cooktops, including induction. 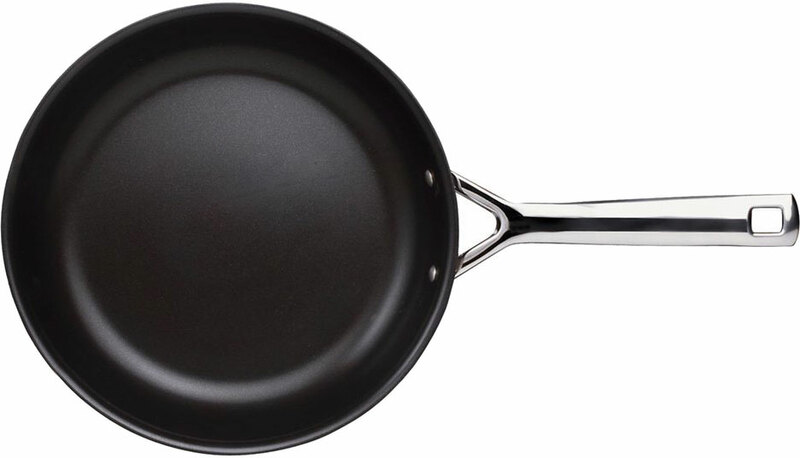 Safe to use in the oven and under the grill.